Concussion is a form of brain injury that occurs after a blow or jolt to the head that affects the way your brain functions. The nerves in your brain are overstretched or bruised due to the impact to your head. In some cases, depending on the severity of the impact to your head there might be some inflammation and swelling in your brain. Concussions are most commonly encountered in contact sports such as hockey, soccer, football or when in a motor vehicle accident. Depending on the severity of tissue damage and the area of brain that is injured your symptoms may differ. Following concussion, it is advisable to visit your doctor or Emergency Room to rule out any serious injury to your brain. Typically, an MRI or CT Scan would be advised to rule out any serious injury to your brain. During the initial phases of recovery, the important part of concussion management is rest and activity pacing. 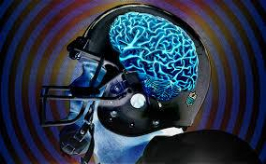 Your brain is in a state of energy deprivation post-concussion. It’s very important that you give enough rest to your brain. However, this does not mean going into a dark room, and sleeping until you feel better. Long term effects of this approach are social anxiety, depression and fatigue. It is important to refrain from any near screen visually stimulating activities. This includes excessive use of a phone, ipad, watching television, or using laptops. It’s also advisable to minimize reading from books or ipads. Alternatively, you can call instead of texting to minimize any visual stimulation that will delay the healing process. Visually stimulating activities stress your brain and consume tremendous energy. Low demanding activities such as brisk walking should be done with rest periods in between to prevent any deconditioning. 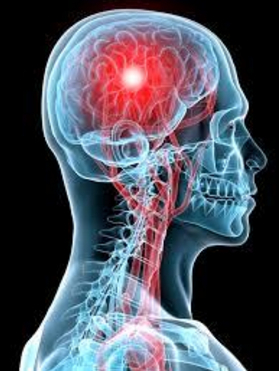 Concussion Rehabilitation- What to expect from your Physiotherapist? If you or someone you know has suffered from a concussion, we can help. Call today to get started at PhysioNow! The only way to prevent concussion is the Use of helmets, Fasten your seat belts while driving, proper lighting and handrails at home. What are some of the risks involved with not treating a concussion? Post-concussion syndrome is a complex disorder in which various symptoms — such as headaches and dizziness last for weeks and sometimes months after the injury that caused the concussion.